High quality aluminium blade with graduated scale (on both sides). Metric and imperial measurements. 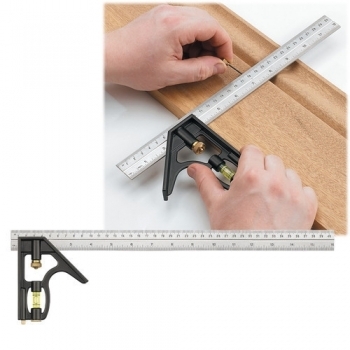 Black metal base with brass adjusting screw features built in spirit level and scribe.